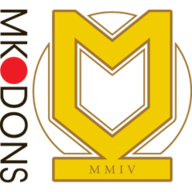 Moussa Dembele's sixth goal in as many matches rescued managerless Fulham as they came from behind to draw 1-1 at MK Dons in the first ever competitive match between the two sides. MK Dons had taken the lead after half an hour as Dean Bowditch superbly volleyed home for his third of the season. 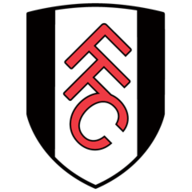 But right on the stroke of half-time visitors Fulham were level as Dembele made up for an earlier miss when he slotted home from six yards. And that is how it stayed despite Ross McCormack seeing an effort cleared off the line with nine minutes remaining. The hosts went close to finding an opener inside 10 minutes when Bowditch fired a long-range effort towards Joe Lewis, but the Fulham goalkeeper did excellently to palm the ball away from danger and out for a corner. Bowditch then turned provider after a well-worked corner routine allowed the winger to slot the ball through to Josh Murphy inside the box, before the on-loan Norwich man fired a shot straight into a crowd of bodies and Fulham were able to clear. Four minutes later - with the goal gaping - Cottagers striker Dembele fired high over an open goal from two yards out after McCormack squared a pass beautifully into his path. And Bowditch made him pay as he smashed home with a stunning half-volley from the edge of the visitors' box to grab the Dons a deserved lead midway through the first half. But the Dons could not see their slender advantage through to the break as Dembele made amends for his earlier miss a minute from the interval with a neat finish from six yards out after some sloppy defending from Karl Robinson's side. The visitors started to pile on the pressure after half-time as Sean Kavanagh threatened with a testing strike from outside the box but Dons keeper David Martin was equal to it and smothered the danger. But the Dons responded well and two chances of their own within quick succession. Murphy fizzed an inviting cross in from the right-hand side, which found Darren Potter in a crowd of bodies in the box but he failed to guide his effort on target before Bowditch raced clear of the Fulham defence and had his strike well saved. The hosts squandered another good opportunity to go in front just after the hour when Jordan Spence burst past the challenges of a number of the Cottagers defenders and found Nicky Maynard in space inside the box, but his effort sailed well over. Fulham were starting to threaten on the counter-attack as Kavanagh burst forward from midfield and had an effort on goal excellently closed down by the Dons defence inside the 72nd minute, before Luke Garbutt's long-range strike sailed over five minutes later. McCormack was next to be left frustrated in front of goal for the Cottagers when his effort was heroically cleared of the line by Dons defender Kyle McFadzean nine minutes from time. "We should have been 2-0 up in the first half but we had a moment when we switched off slightly and the lads put it in - I think that's when football is unfair because we really should have been two clear. "In the second half I think it was a fair result overall, even though we still had lots of the ball. It's so difficult to compete when we're coming up against the players the likes of these." "We could have won it today but we could have lost it too, so overall I'm happy with the point to be honest. "We were giving the ball away too easily but in the second half we had more control of the game and we started to cause a threat. "Moussa had a fantastic chance to give us the lead and that would have obviously changed the game but I thought they dug in in the second half."